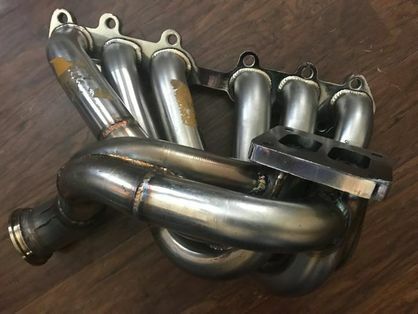 Brand new never mounted 2JZGTE T4 divided mid frame manifold! Perfect for anyone running a high boost S400sx or similar sized turbo. Clears the strut tower. Even has a TiAL/Precision wastegate flange already welded!